Gadi Zohar focuses on successfully completing both complex and simple US Immigration law proceedings. As an immigration lawyer, he has the extensive experience working with a broad clientele on immigration issues, family matters and real estate transactions, the driving factor is securing successful outcomes. A Dean’s List graduate of New York Law School, an emphasis is placed on detailed fact finding, clearly interpreting realistic goals, exhaustive research, and creative solutions. Highly praised by clients for genuine sensitivity to the difficult situations they face, he carefully explains his process and objectives. This honesty and integrity have resulted in a firm built on referrals and community support. A timely response is imperative in dealing with these matters. Being available to meet client needs, answer questions to be able to guide the process to positive closure, we’re familiar with the process and will guide you through with legal help. 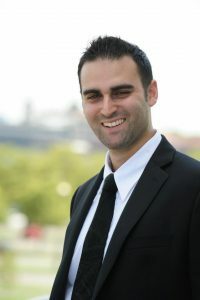 Gadi Zohar is a member in good standing of the Bar of the State of New York and a member of the American Immigration Lawyers Association (www.AILA.com), the world’s largest organization of immigration lawyers. You hire an attorney to represent YOU expecting honest, reliable and genuine care. I made the decision to be an attorney because I can affect a positive difference in your life. If you are looking for legal help, assistance obtaining an immigration visa, green card, amnesty, or help avoiding deportation, we’re able to aid you with our legal expertise and knowledge. Set up a free consultation with us today by filling out the form below. We look forward to assisting you with your immigration needs.